Heavy D! was once a famous professional boxer, but was expelled from competition due to seriously injuring a fighter during battle. Heavy D! kept his form fighting on the streets. One day he received an invitation to the '94 tournament. He teamed up with his friends Lucky and Brian to form the U.S.A. Team. Even though they failed, Heavy D! wanted to try again the next year. 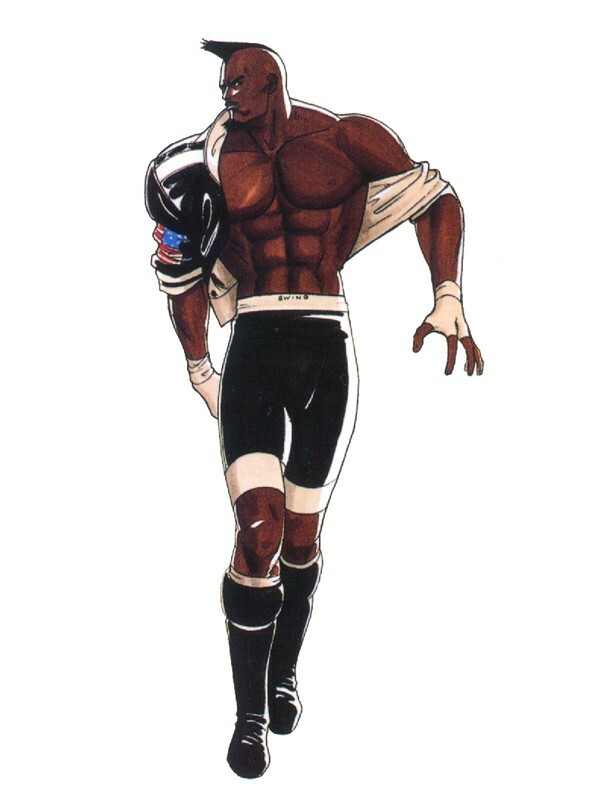 Unfortunately Brian's team went to the Superbowl so they couldn't participate in KOF. Like his teammates, Heavy D! 's invitation is unluckily snatched by opposing teams in this series and other games as a running gag. 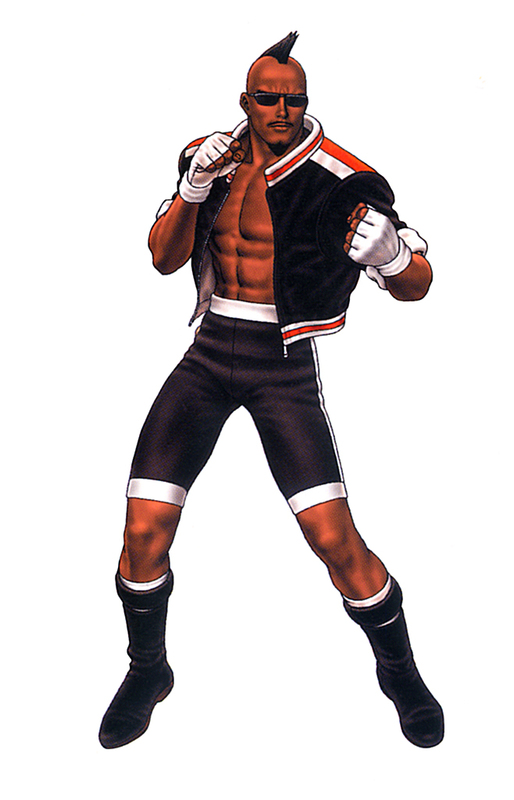 Heavy D is a fairly cool boxer design introduced in the first installment of King of Fighters. 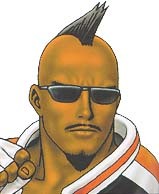 He somewhat legitimizes the KOF "Sports Team". 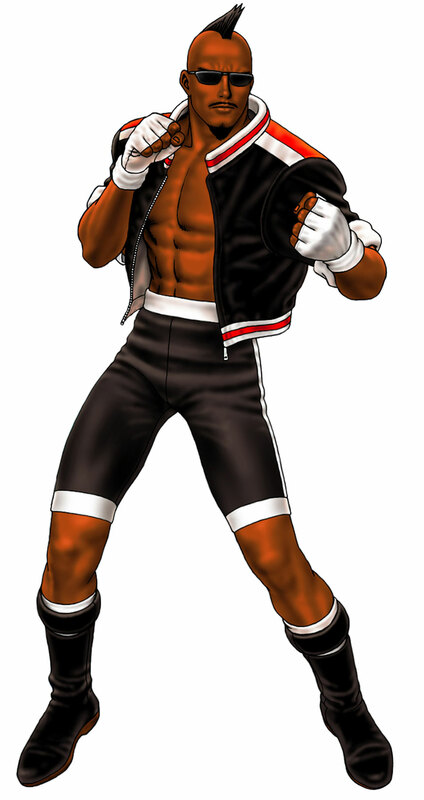 While Lucky & Brian represent mainstream American sports (and don't make much sense in a fighting game), Heavy D is actually a boxer... AKA... a fighter. What a concept!